I spoke with a law firm hiring insider last week, and he gave me some good news on the law school hiring front. My insider told me that despite the dismal predictions by NALP and others, the "prospect of hiring is up." But once recruiting gets into full swing, law school students may see a different kind of hiring process. Firms will be hiring fewer students for each associate class, but in the case of summer associates, the percentage of each class receiving offers will probably stay at pre-recession levels. More interesting, however is that law firms are "looking for a better fit, instead of the best talent," according to my insider. They don't want to hire the No. 1 Harvard Law School graduate if they think he/she will leave after two years. Firms spend thousands of dollars on training for summer and first-year associates, so moving forward, they are looking for "better ROI in the first year." In other words, says my insider, firms will want all new hires to "stay four to six years, minimum." And law firms aren't the only ones looking beyond prestige. My insider says that this year, firm culture was "by far and away" the number one deciding factor for choosing an employer. Sadly, says my insider, all the good news is only for Tier 1 schools. Tier 2 is still getting the short end of the stick. Law firms simply don't have the bandwidth to visit T2 campuses and consider those students, so even the top 2 percent of grads will continue to "get overlooked." That said, "there are so many reasons a firm goes to a school," says my insider, so students should reach out to alumni to entice their firm to make the trek. 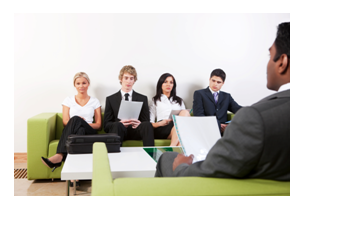 So when will we see these changes in law firm hiring? "This year will be better," says my insider, "but not normal until 2012." There is "definitely going to be a lag time," he continues. "It's all about the little victories." So it's not all good news...but it's not all bad either.